THINGS at the EPO may seem to have calmed down (there are court proceedings for representatives to focus on, having prepared for a while), but there are many stories that still ought to be told. Some cannot be told. Some cannot be told just yet. Some just need further corroborating evidence. Publishing these in the form of rumours and presenting them as such is clearly permissible. “Publishing these in the form of rumours and presenting them as such is clearly permissible.”Some time ago we learned from a reliable source (with track record of accuracy) about fraud at the EPO. We are talking about financial fraud here (like payment orders), but people are afraid to speak about it directly to the public, to the authorities, or to journalists. Having witnessed how Battistelli and his circle treat even the gentlest of critics, who can blame them? Battistelli engages in managerial terrorism. He created an atmosphere of so much fear that even people who have truly credible arguments and evidence to back it up with dare not speak to anyone about it. In the case of fraud, there is a criminal nature to it and one’s ability (or courage) to step forward would typically depend the severity of the fraud and certainty of prosecution (vindicating the messenger). Under Battistelli’s terrifying regime it takes a lot of courage to speak out about such things. Maybe it’s just a matter of time. 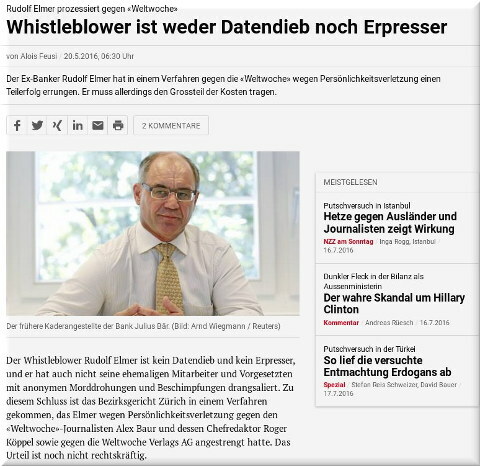 Typically, whistleblowers are protected by the law itself, but in Eponia lawlessness prevails (Battistelli and his minion even brag about it!). These whistleblowers should not really need any protection from the employer but from anticorruption entities (the EPO's press spokesperson came from one, effectively defecting); but what anticorruption entities are there inside Eponia? None. It’s just absurd. The EPO conveniently ignores national laws but at the same time it enforces employment embargo/sanctions on EPO staff after their departure from Eponia. It also legally threatens people outside Eponia, myself included.